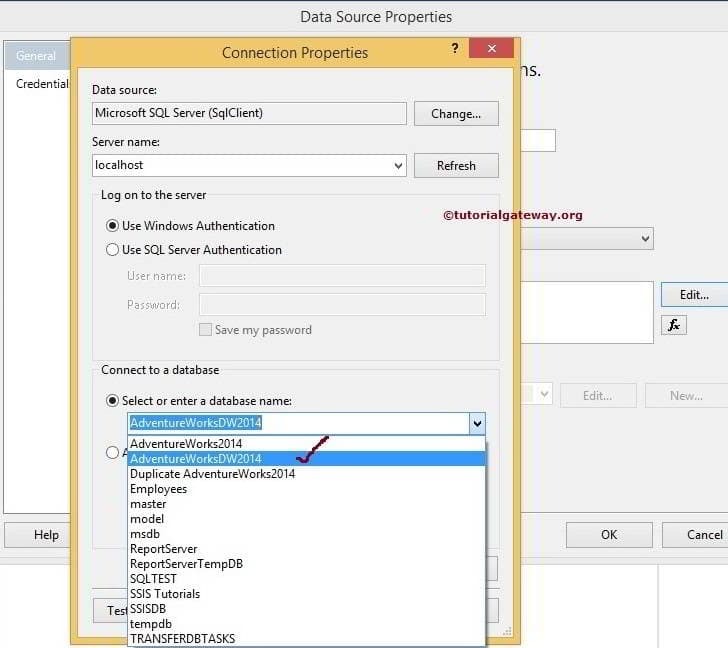 In SQL Server Reporting Services, Data Source is a connection setting which is used to connect with underlying Databases or Data Warehouses. The data source is a combination of Provider name, Server instance Name, Database Name and Database credentials. SQL Server Reporting Services supports two types of data sources: Shared Data Source and Embedded Data Sources. In this article, we will show you, Steps involved in creating Embedded Data Source in SSRS a practical example. After creating the New SQL Reporting Services project (SSRS project), the Report Data looks like below. Name: Please specify a valid unique name for the data source you want to create. Type: Please select the connection type from the drop-down list. 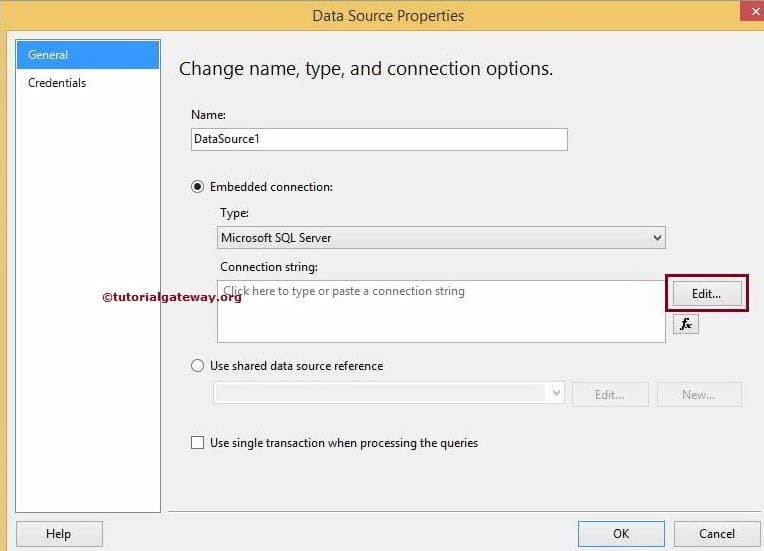 SSRS Data Source supports multiple connection types. 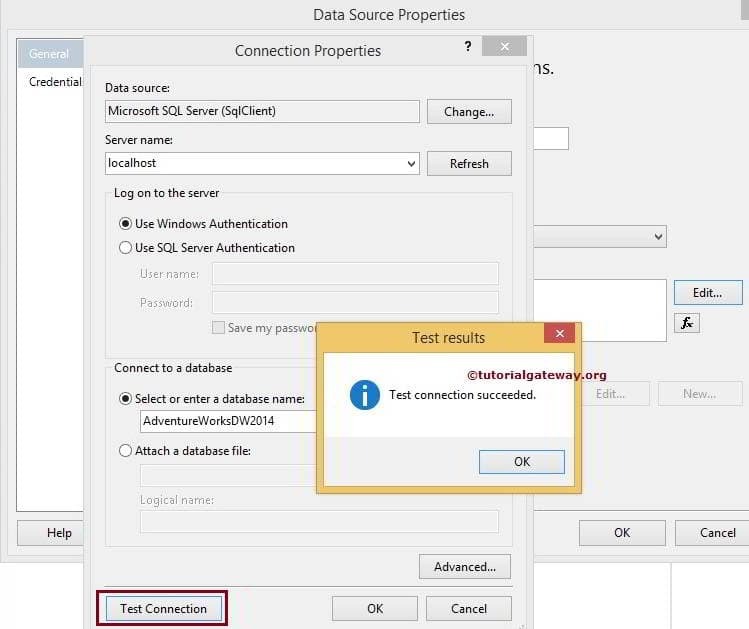 For instance, if your data source is SQL Server then select Microsoft SQL Server or OLE DB. If your data source is SQL Server Analysis Service then select Microsoft SQL Server Analysis Services. Connection Strings: If you know, How to write the connection string then write down here. If not, click on the Edit button to specify the Data Source (Provider), Server Instance Name, Login credentials and Database Name. TIP: If you want to use the already created Shared data source then, Please select Use Shared data source reference radio button and select the existing shared data source from drop-down list. Click on the Edit button from the above screenshot will open another window to configure the Connection Properties. Here we have to specify the Data Source (Provider), Server Name (or Instance Name), Login credentials and Database Name. Data Source: We are retrieving data from SQL Server so, We selected the Microsoft SQL Server (SqlClient). You can change this option as per your requirement. Server name: Please specify the SQL Server name. For now, we are using our local hostname. Log on to the Server: Please specify, How you want to log into SQL Server. For now, we are using windows authentication. From the above screenshot, you can observe that we are using selecting the [AdventureWorksDW2014] database from the list. 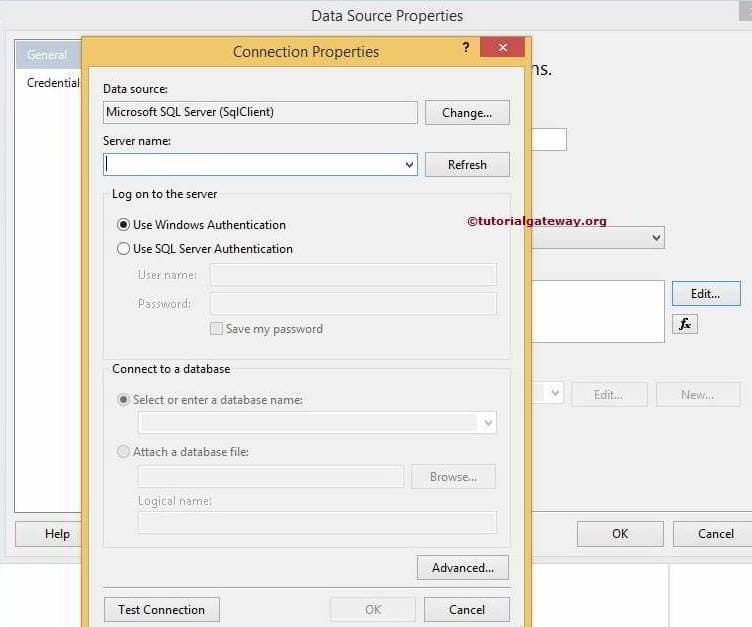 NOTE: Here we are working with the local database so we are using windows credentials but in real-time, you have to select the SQL Server authentication and provide the credentials given by the database admin people or your team leader. Click Ok to finish configuring the connection properties. 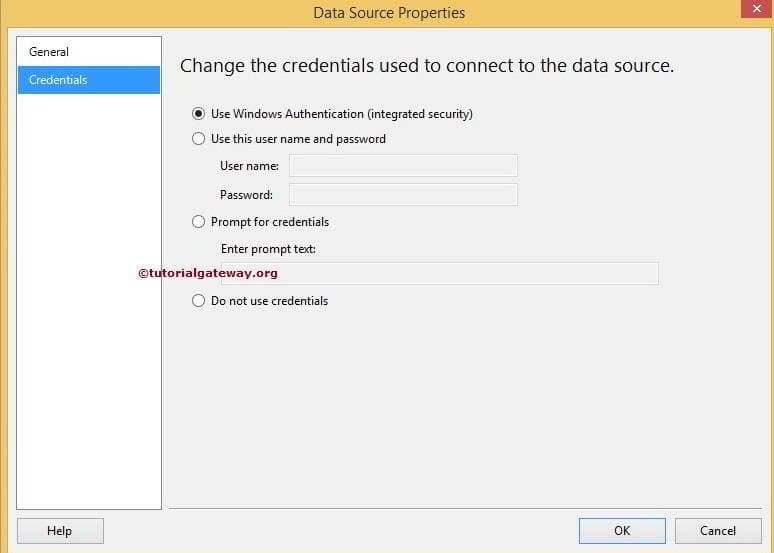 Prompt for credentials: When the report establishes a connection to a data source, it will prompt the given text (asking for credentials). Do not use credentials: Report will not use any credentials to connect with the data source.